As promised in my post last Sunday, I've got a second card using Whimsy Stamps' fun fairy image called Hello Friend! 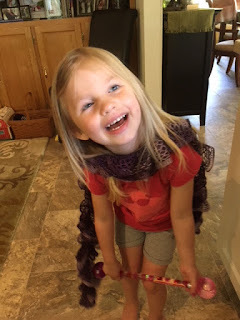 This time she is blonde (wonder if she's having more fun - lol?) and she's in purple and aqua attire. I'm entering this into the Whimsy Inspirations Challenge where Anything Goes is the theme this month! You have until July 12 to join in the fun. I love to "smoosh" distress inks onto watercolor cardstock by applying the ink to an acrylic block, misting lightly with water then "smooshing" the paper onto the block to pick up the ink. I colored the image with Copics and added sparkle highlights with Sakura's Gelly Roll Clear Star pen. It's so hard to capture this in a photo! 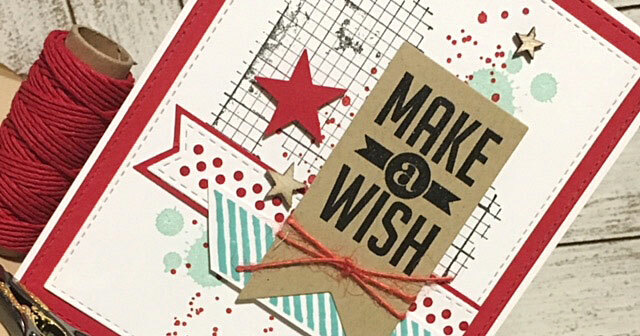 The sentiment is from Whimsy's Shine Bright stamp set. 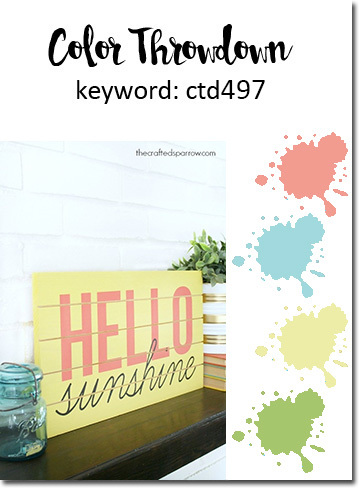 STAMPS: Hello Friend (Whimsy Stamps), Shine Bright (Whimsy Stamps). PAPER: Iced Aqua (Reverse Confetti), Ranger watercolor CS, X-Press It Blending Card. INK: Peacock Feathers and Wilted Violet distress inks; Versamark; Memento Tuxedo Black. 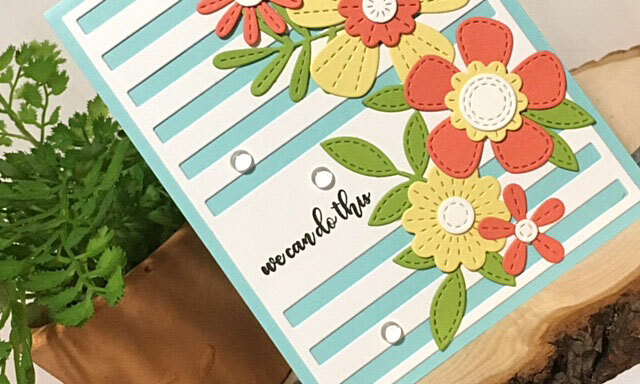 DIES: Stitched Circle and Rectangle Die-Namics by My Favorite Things. 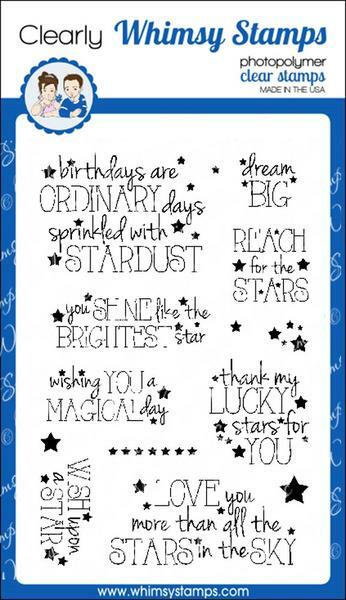 Be sure to stop by the Whimsy Stamps store and check out their large selection of stamps, dies, papers, etc. 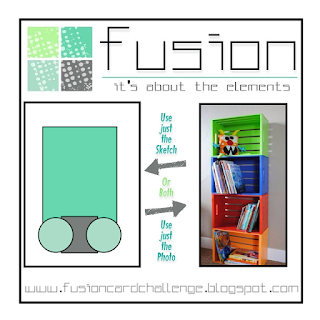 You will love their great variety of products! Hello everyone! Get ready to create with some fabulous colors that Vickie has chosen for the last Color Throwdown Challenge in June! Yikes! Where has this month gone?! 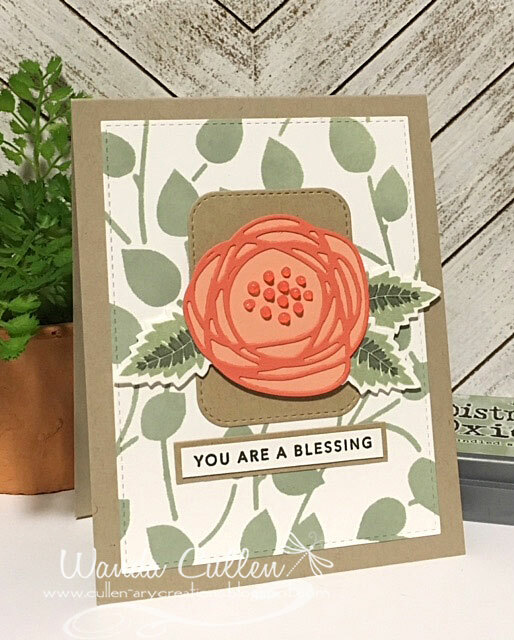 I can't seem to ever stop using florals and went with these Altenew stamps that involve 2 and 3-step stamping. I layered them over MFT's Striped Sentiment Strip Cover Plate die (a "go to" favorite of mine!). STAMPS: Vintage Flowers (Altenew), More Than Words (Altenew). PAPER: Pacific Point (SU), Sweet Tooth (My Favorite Things). INK: Broken China, Mermaid Lagoon, Squeezed Lemonade, Fossilized Amber, Twisted Citron, Peeled Paint (Distress Oxide inks by Ranger); Versafine Onyx Black (stamped twice with MISTI). DIES: Vintage Flowers (Altenew); Striped Sentiment Strip Cover Plate Die-Namics (MFT). Hope to see you in the CTD gallery! I'm joining in on the fun for PTI's June Blog Hop Challenge! 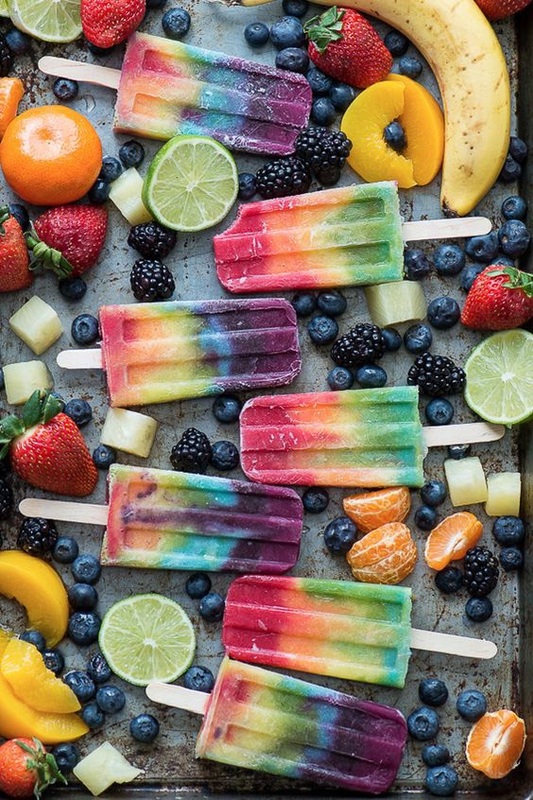 Check out this rainbow assortment of fruits and popsicles in their inspiration photo! Cool...right? Well...now imagine those popsicles melting in the hot sun and you end up with something similar to the background of my card...achieved with alcohol ink blending! (Smile) The images were white embossed with Altenew's Pure White EP. 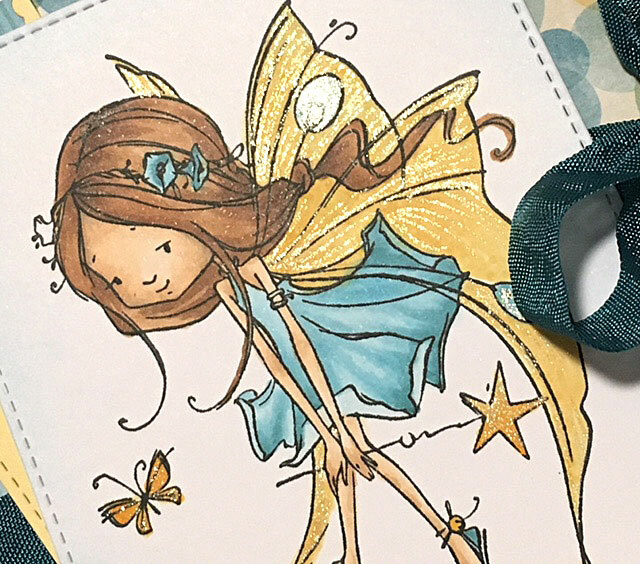 STAMPS: Butterfly Folk (PTI), Direct Messages (PTI). PAPER: Sweet Tooth, Sour Apple, Ripe Raspberry (MFT); Yupo. DIES: Butterfly Folk, Direct Messages (PTI); Stitched Rectangle Die-Namics (MFT). 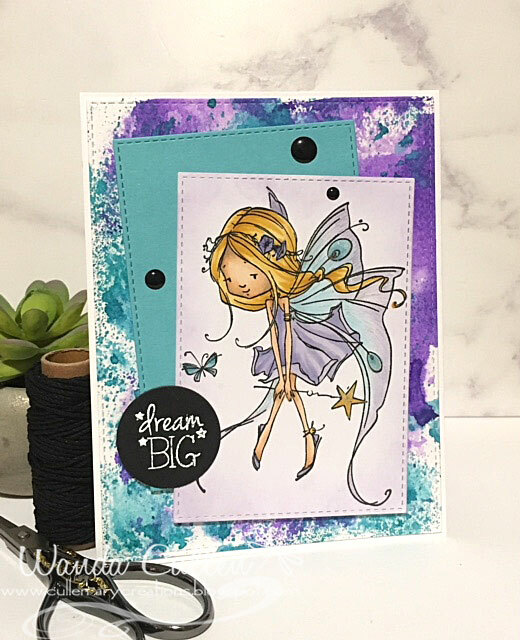 designer for Whimsy Stamps! Our 3 1/2 year old granddaughter (photo at right) is obsessed with dressing up and one of her favorite roles is being a fairy princess. It was a no-brainer for me to choose this delightful Whimsy image - Hello Friend - created by Marina Fedotova. 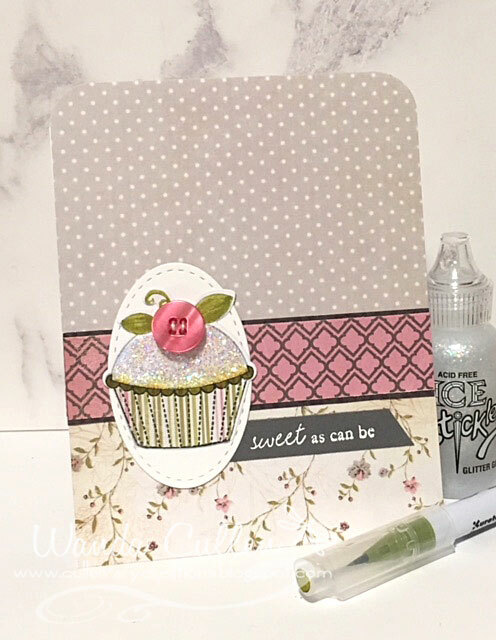 I paired it up with a sentiment from their Shine Bright stamp set designed by Denise Lynn. I stamped the image with Memento Tuxedo Black ink on X-Press It Blending Card then colored with Copics. 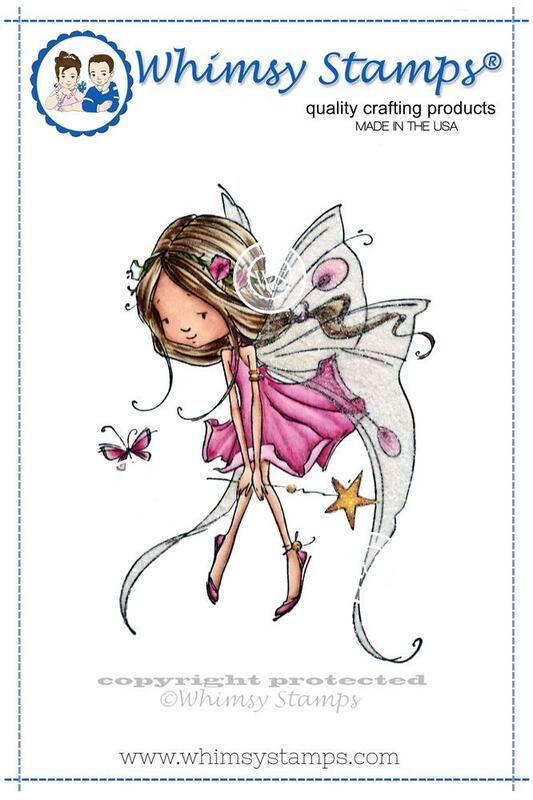 My favorite step was adding glitter to the wings, star and butterfly using a Clear Star Gelly Roll pen by Sakura. I sponged a light blue chalk color to the edges of the tag and the white panel. Some teal seam binding, gold cording and gold sequins were the finishing touches. Below is a different camera angle that shows more of the glitter detail. 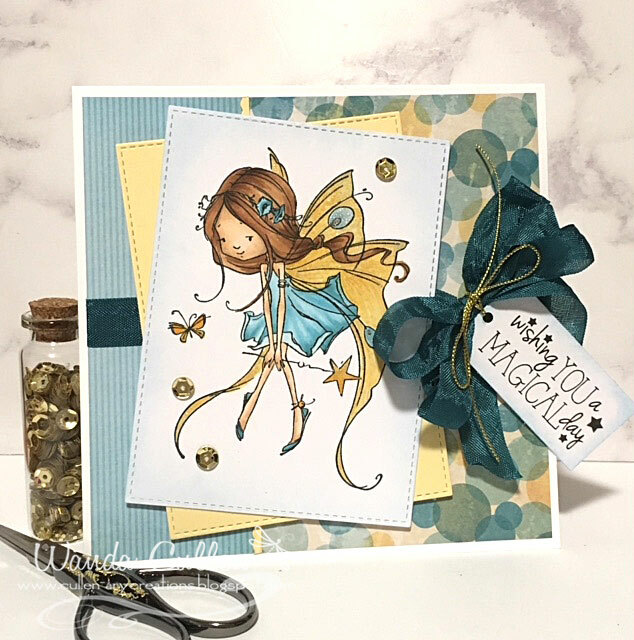 I hope I've inspired you to visit the Whimsy Stamps store to check out their large variety of fun, whimsical stamps as well as dies, papers and other great papercrafting products! A big thank you to Debbie for the invitation to be a guest this week! Pssst...Stay tuned for another card in a few days using these great images yet again! There's another great inspiration photo and sketch on the Fusion Card Challenge blog today! 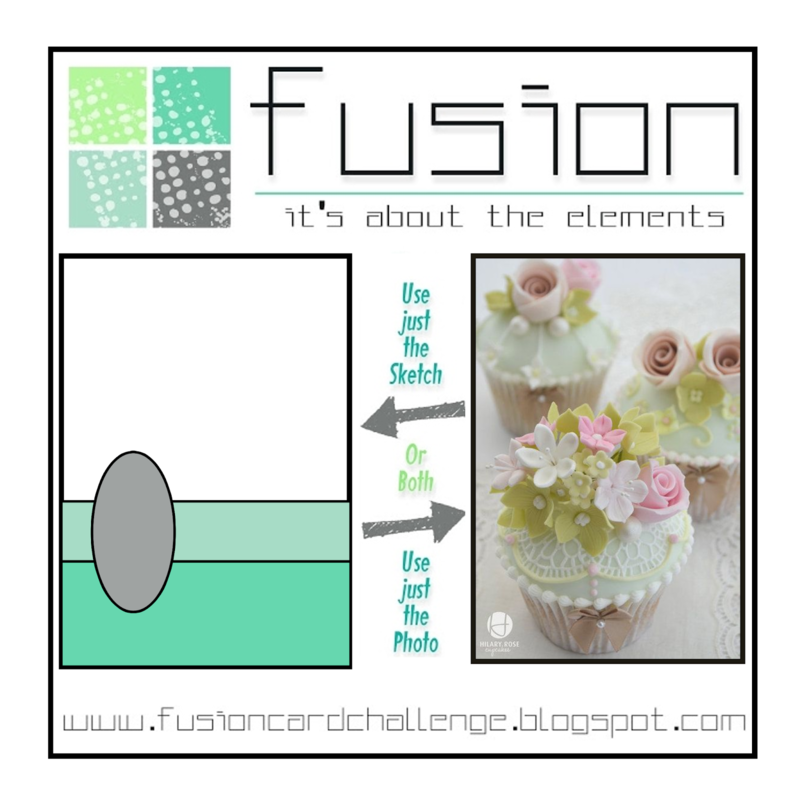 You can just use the sketch or just be inspired by the photo or, you can do both as I did for my card! Well, you can see I tweaked the sketch a wee bit - lol! I was definitely inspired by the primary colors, the stacking of crates and that adorable little monster on the top shelf! 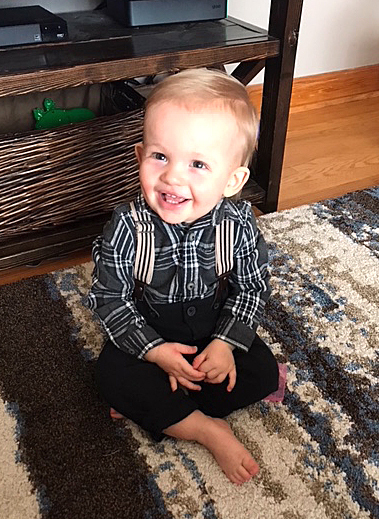 Our grandson turns two next month and this was the perfect scenario for me to create his birthday card! I started with a panel of Ranger watercolor paper and "stamped" the stripes using an acrylic block (SU) and distress inks. It left a mottled rather than solid look which I actually liked better. I then colored up these cute monster images with Copics and have them "holding" a bitty banner die. I added googly eyes and sparkle to the monster dots with a Gelly Roll Clear Star pen by Sakura. Photos never do sparkle justice like it looks in real life! 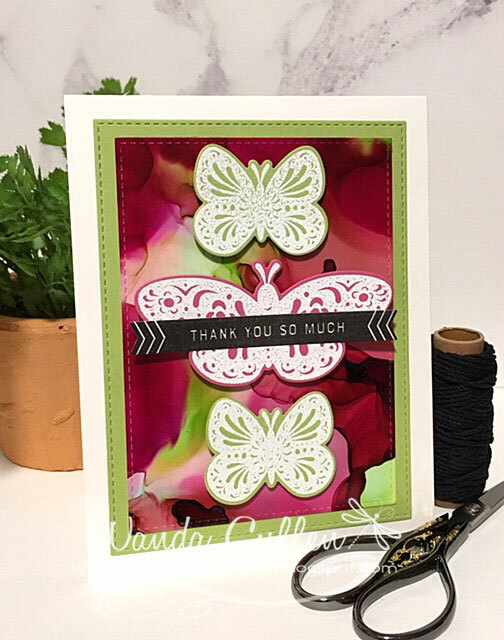 The sentiment was stamped twice using my MISTI (a must have tool for me in nearly every card!). 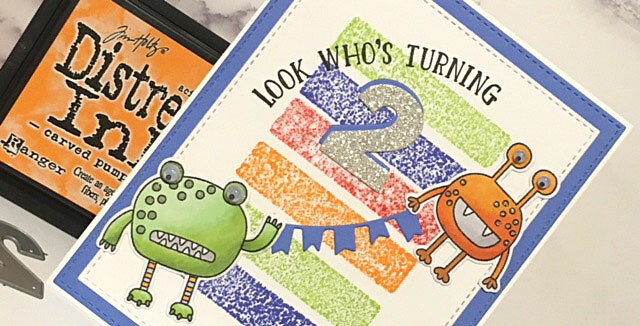 STAMPS: Monsterous (Reverse Confetti), Number of Years (Stampin' Up). PAPER: Ballet Blue (SU), White (PTI), Ranger watercolor CS; Silver glitter CS. INK: Blueprint Sketch, Carved Pumpkin, Twisted Citron, Candied Apple distress inks; Versafine Onyx Black. 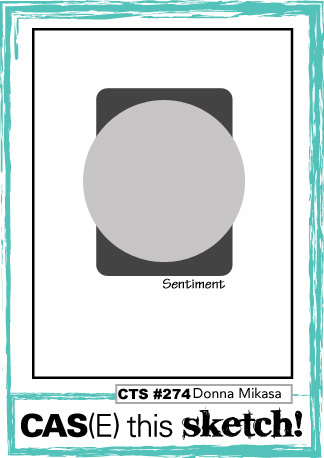 DIES: Monsterous and Gift Card Holder Tag (Reverse Confetti), Numbers (MFT). 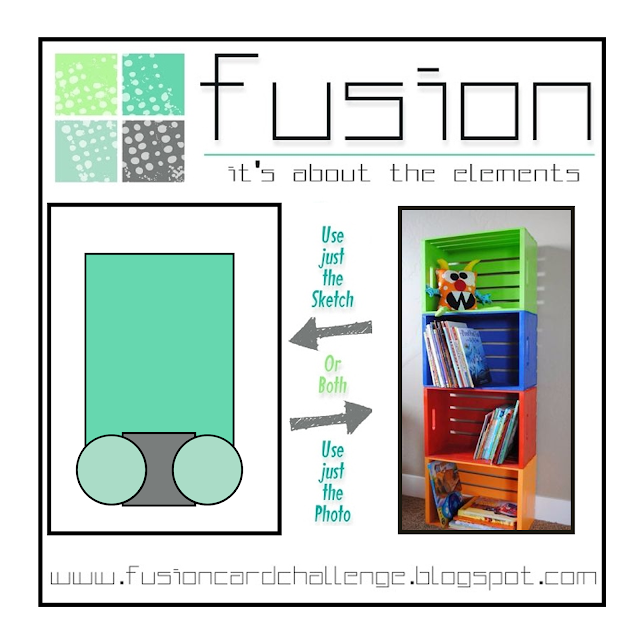 You will want to be sure and check out what the other talented ladies on the design team have created! Thanks so much for stopping by and hope to see your creation in the gallery! 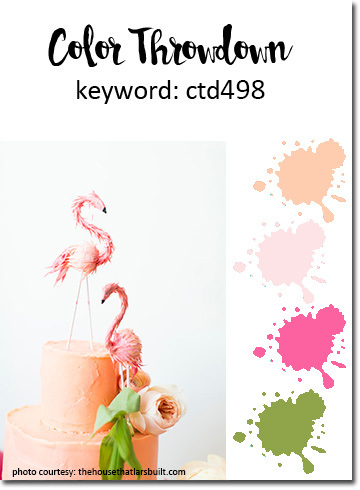 Check out these awesome new colors for the Color Throwdown Challenge - hosted by Lynn: peach, pale pink, hot pink and green! 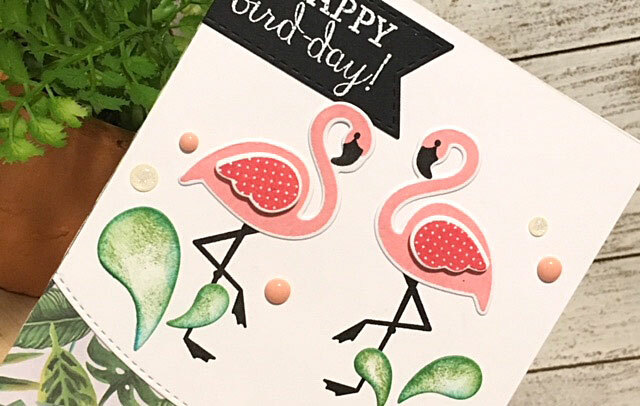 Since the inspiration photo had a flamingo theme, I went with Reverse Confetti's Fabulous Flamingo stamp set/dies. I used some tropical patterned paper from the Tropical Life 6x6 pad by Recollections. STAMPS: Fabulous Flamingo (Reverse Confetti). INK: Pretty in Pink, Regal Rose, Bermuda Bay, Wild Wasabi (SU); Versafine Onyx Black; Versamark. 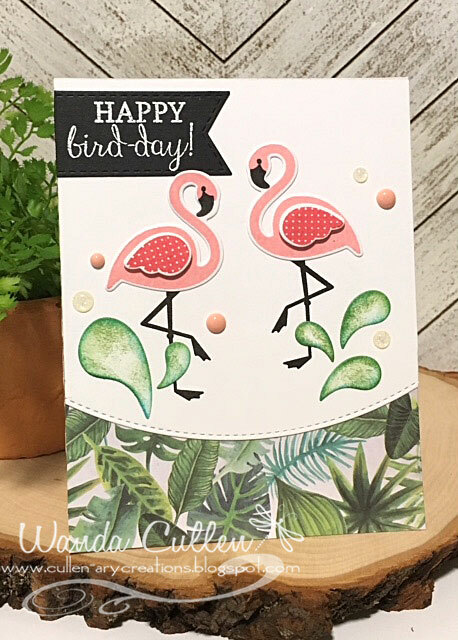 DIES: Stitched Basic Edgers and Stitched Fishtail Flags STAX Die-Namics by MFT; Perfectly Paisley and Fabulous Flamingo dies by Reverse Confetti. JUNE 20 - "Thank you to life that has given me so much. It's given me the strength of my weary feet, with which I have walked through cities and puddles, beaches and deserts, mountains and plains." --Violeta Parra, "Gracias a la Vida"
There are some really scrumptious summertime colors that Lori has chosen for this week's Color Throwdown Challenge: coral, aqua, yellow and green. 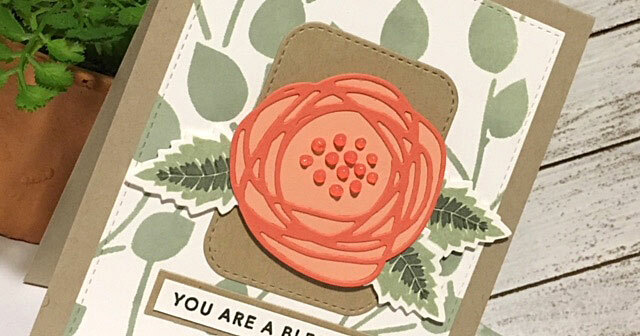 I knew I wanted to use my current favorite floral dies - Stitched Blooms - by My Favorite Things. They were part of the April kit when I bought them but, they are now available on their own in MFT's June release. STAMPS: We Can Do This (Simon Says Stamp). 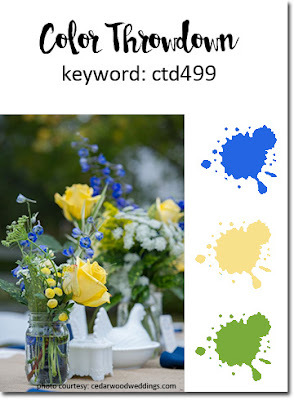 PAPER: Buttercup, Lime Green, Iced Aqua (Reverse Confetti), Calypso Coral (SU), White (PTI). INK: Versafine Onyx Black (stamped twice using MISTI). 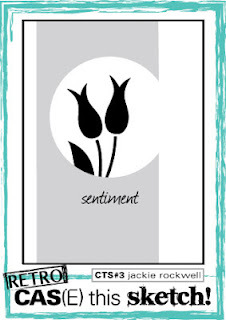 DIES: Striped Sentiment Strip Cover Plate Die-Namic by MFT; Stitched Blooms (MFT). JUNE 13 - "Be humble, for you are made of earth. Be noble, for you are made of stars." 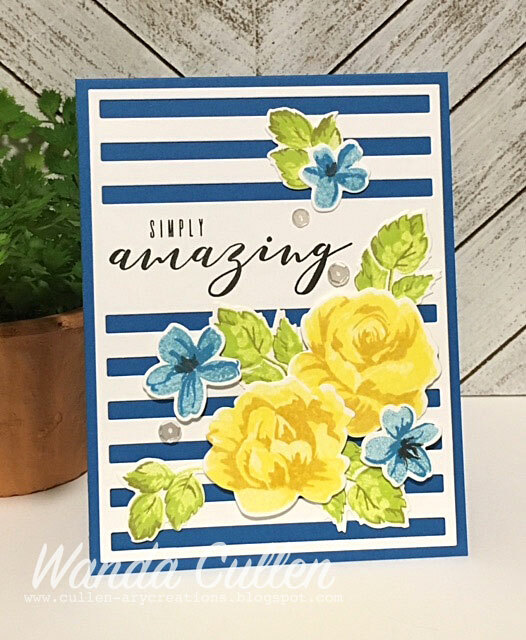 You'll need your shades for this brightly colored card for the current CAS(E) This Sketch Challenge. This is another retro sketch used in their 3rd challenge and is brought out of the archives for #275. In hindsight, I'd choose a smaller print than the balloon pattern since the animals more or less "got lost" in all the patterns! 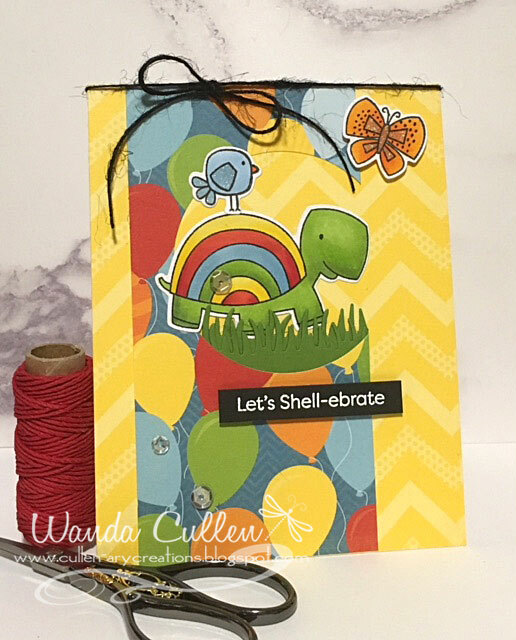 I overlapped a couple of grassy border dies to "ground" the turtle and added Clear Star Gelly Roll pen details to the bird and butterfly. Papers are from BoBunny's Surprise Collection (6x6 pad). 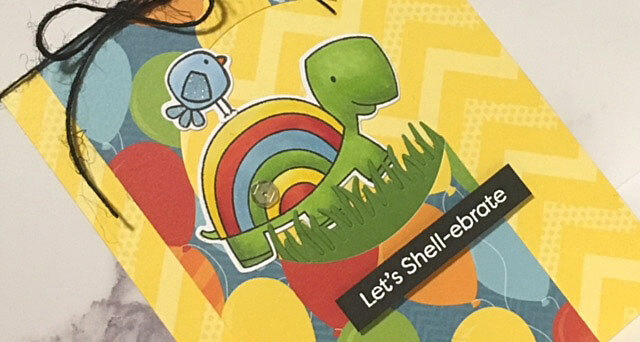 Images are from MFT's Too Cute Turtles set and were colored with Copics. JUNE 8 - "The only person you are destined to become is the person you decide to be." 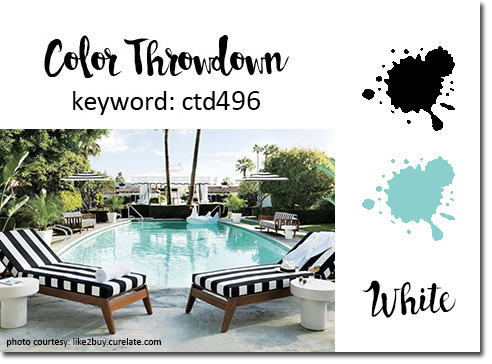 Another Wednesday has rolled around, so that means there is a new Color Throwdown Challenge happening. Lisa is our hostess this week and has chosen some really gorgeous colors for us: aqua, black and white! 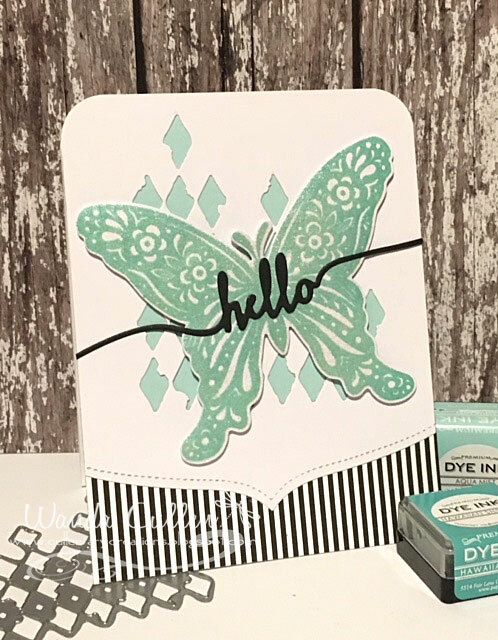 I knew I wanted to feature this large butterfly die from Papertrey Ink and started by stamping it first with Aqua Mist ink using the MISTI then reinked with Hawaiian Shores ink. I lightly removed some of this darker shade, allowed it to dry then sprayed the butterfly with Smooch Spritz. 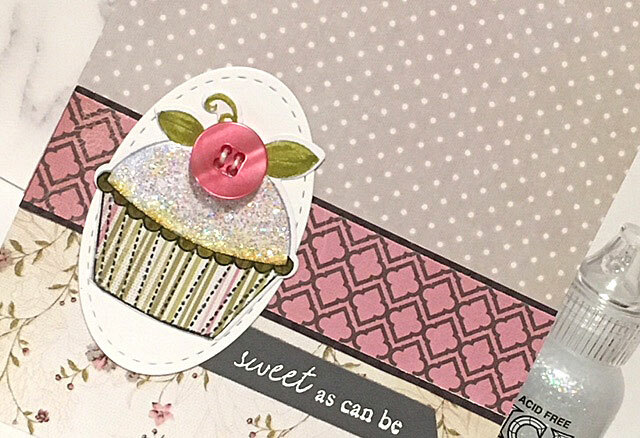 The diamond die is from a set of 4 dies by Tim Holtz. 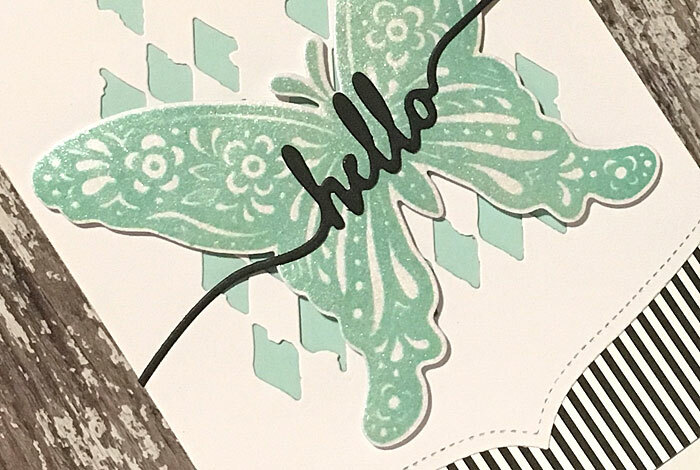 I adhered Aqua Mist cardstock behind the die cut area then adhered the butterfly by popping it up with foam tape. I love the shimmer which I couldn't capture well in the photo. PAPER: Aqua Mist (PTI), White (PTI), Black and White Basics 6x6 pad by MFT. INK: Aqua Mist, Hawaiian Shores - PTI. DIES: Tim Holtz; Butterfly Folk (PTI); Swoosh (PTI); Stitched Basic Edges (MFT). 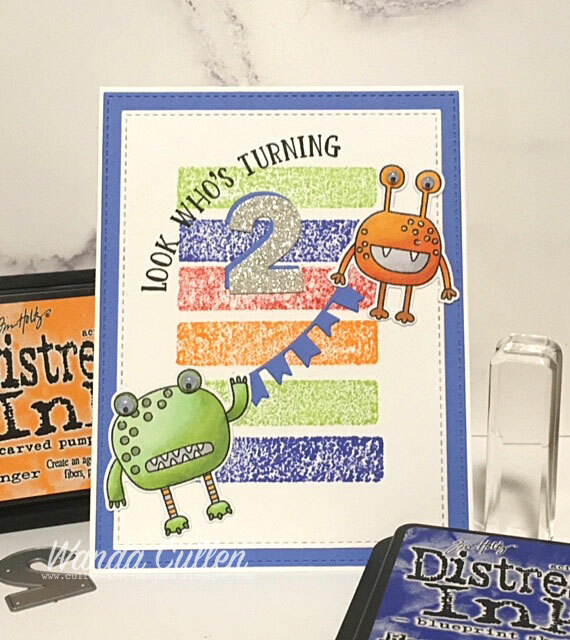 There's another Make It Monday post on the Papertrey Ink blog and this time, Michelle Leone is challenging us to add lots o' dots to our card using Nuvo drops. I'm also playing along with the CAS(E) This Sketch challenge...using Donna Mikasa's fun sketch! 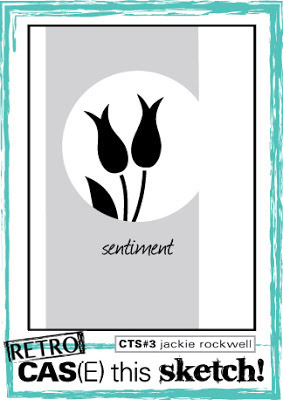 STAMPS: Infinity Frames Sentiments (PTI), Delightful Dahlia Additions (PTI). 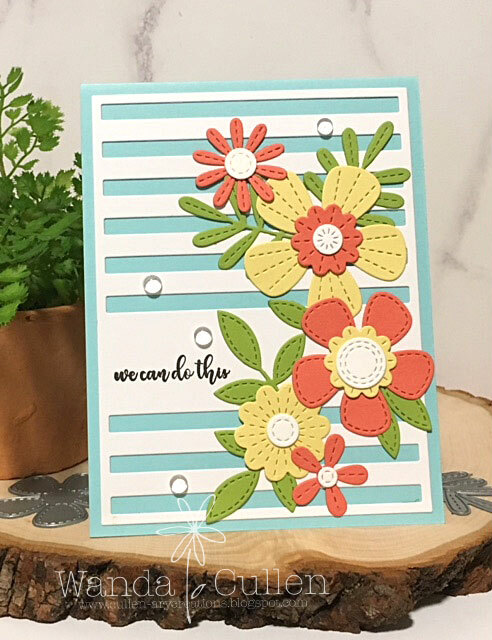 DIES: Circle Scribbles (PTI), Delightful Dahlia Additions (PTI), Stitched Rounded Rectangles and Stitched Rectangle STAX Die-Namics by MFT. I needed yet another masculine birthday card for June and a trek through Pinterest brought me to a great card by Janine Tinklenberg which I decided to CASE. 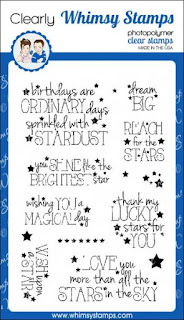 Here is a link to her card on Splitcoaststampers. STAMPS: Off the Grid, Perfect Pennants, Gorgeous Grunge - all by Stampin' Up. PAPER: Real Red (SU), Kraft, White (PTI). INK: Real Red (SU), Hawaiian Shores, Aqua Mist (PTI), Versafine Onyx Black. DIES: Banners Framelits Dies by SU; Stitched Rectangle STAX and Stitched Fishtail Flags STAX Die-Namics by My Favorite Things; Star punch by SU. The sentiment was embossed with black embossing powder by Inkadinkado. 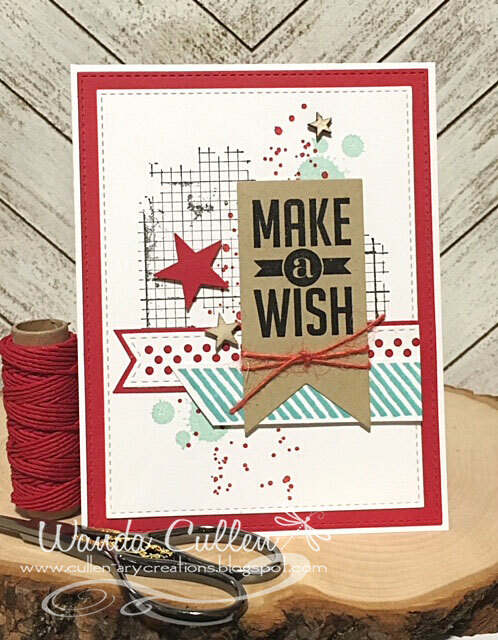 I finished off the card with some red twine and a couple of wood veneer stars by Studio Calico. That's it for me for now...have a super Monday!